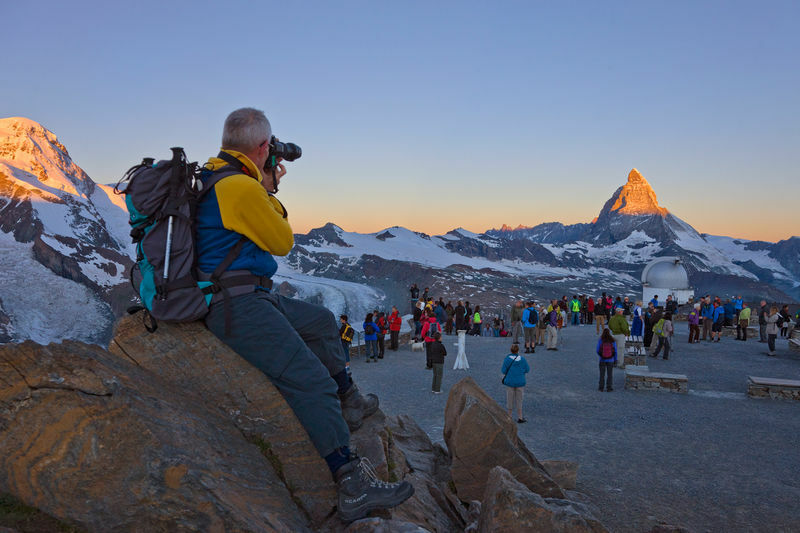 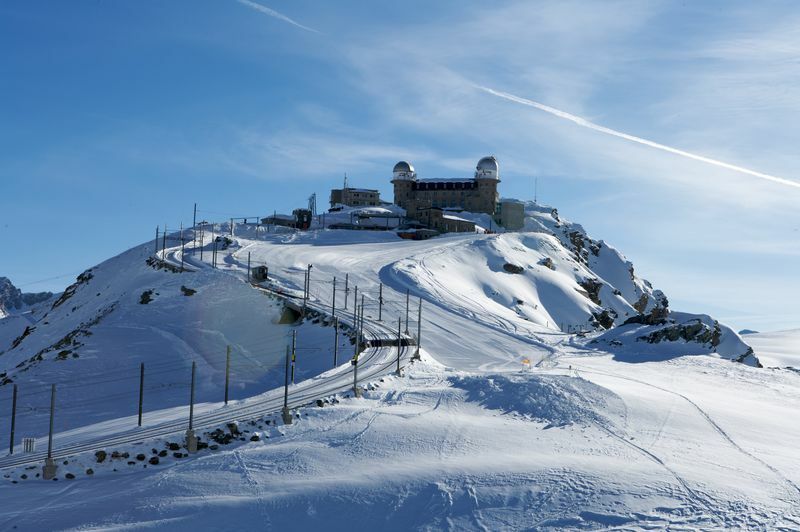 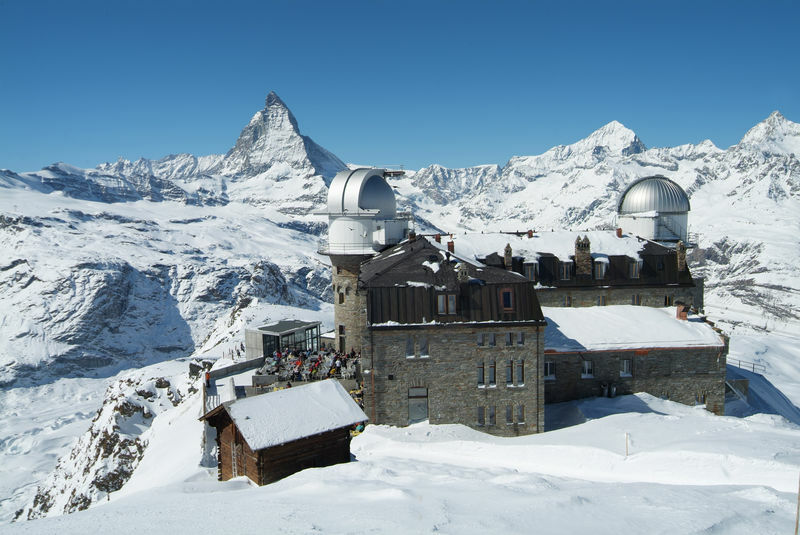 With its sunny observation platform accessible all year, the Gornergrat, at an altitude of 3,089 m, has been one of Switzerland’s top excursion destinations since 1898. 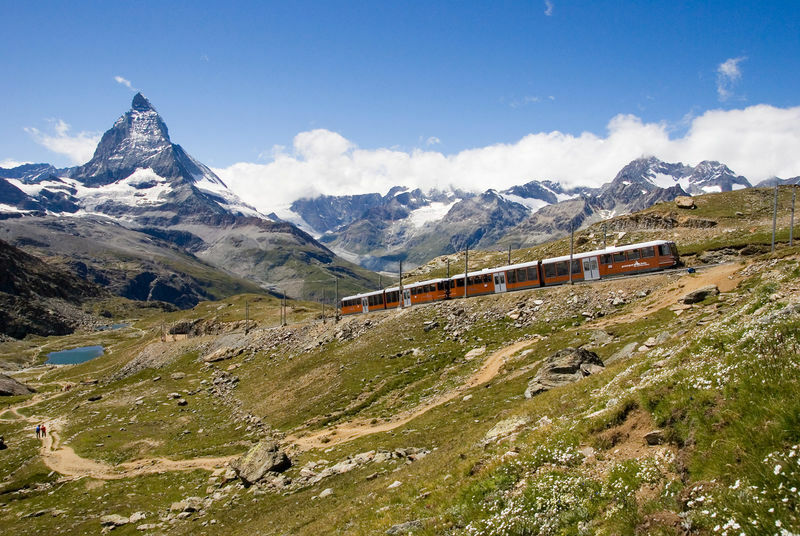 The Gornergrat Bahn was the world’s first fully electrified cog railway. 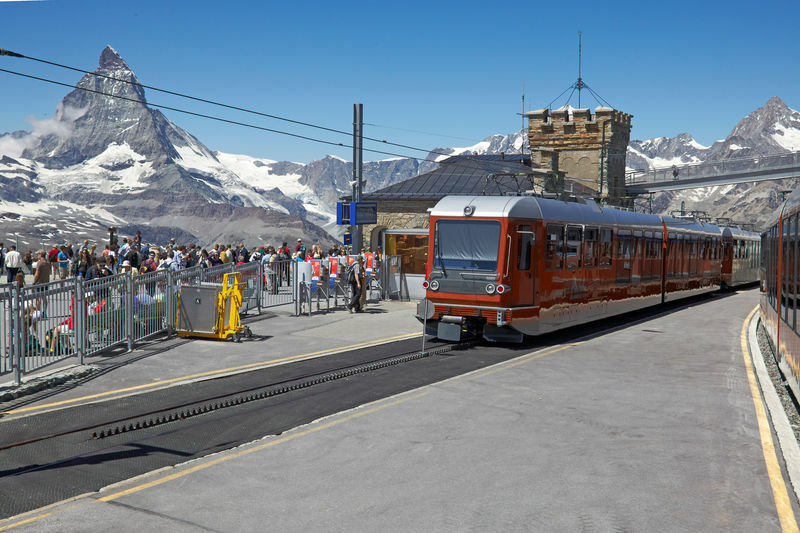 Today it is a modern, eco-friendly railway, equipped with a regenerative braking system that generates electricity on the descent and so saves energy. 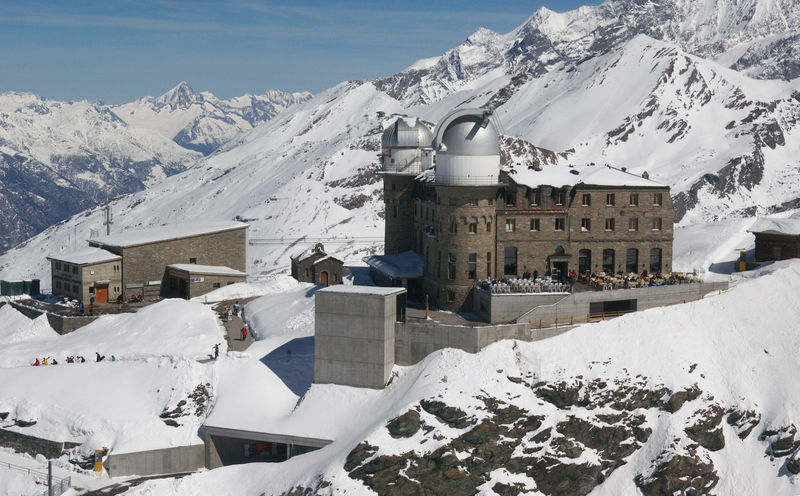 Thus the energy for one to two new mountain drives is won by three downhill drives. 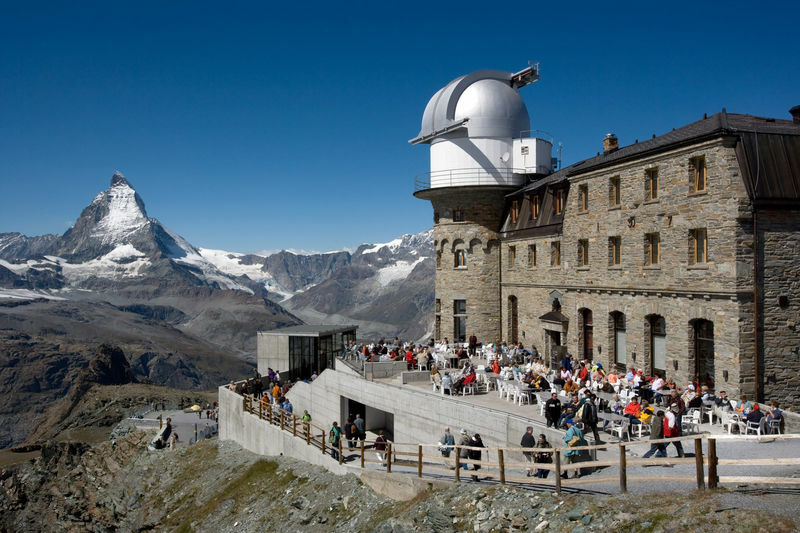 Europe’s highest open-air cog railway brings passengers direct from Zermatt station (1,620 m) to the summit of the Gornergrat, 365 days a year. 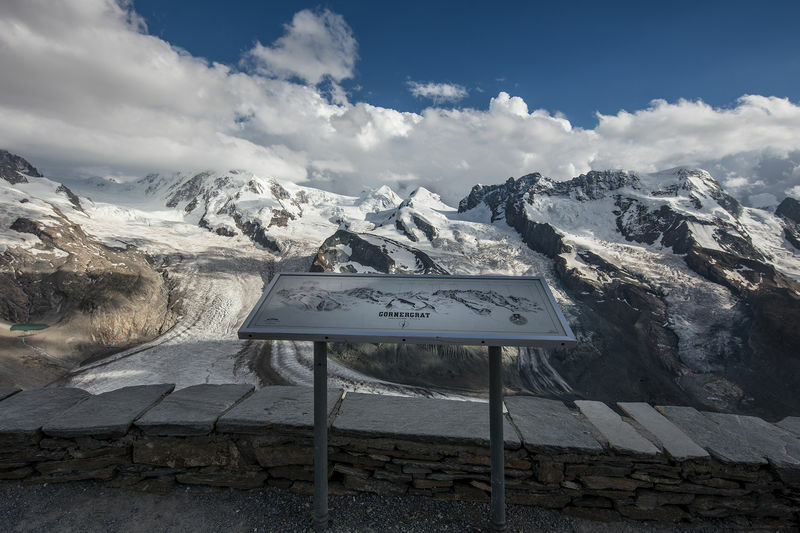 The ride takes 33 minutes and requires a vertical climb of 1,469 m. The line leads on 9.4 kilometres over dramatic bridges, through galleries and tunnels, across forests of larch and Swiss stone pine, and past rocky ravines and mountain lakes. 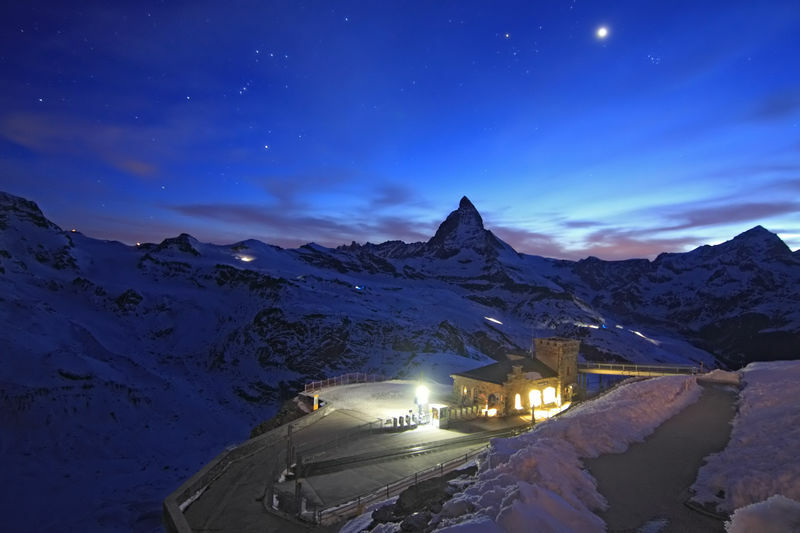 The panorama is among the finest in the world. 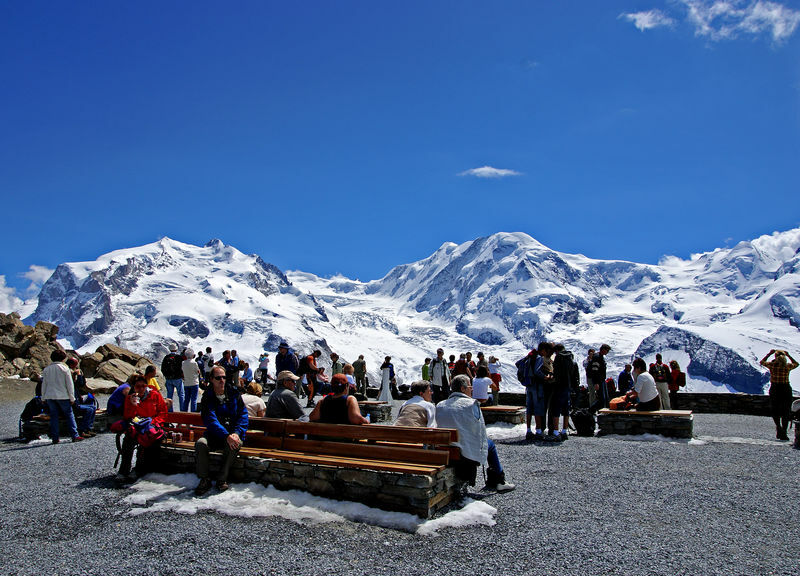 The views take in the Monte Rosa massif with Switzerland’s highest peak (Dufourspitze, 4,634 m); the second-largest glacier in the Alps, the Gorner Glacier; and a total of 29 mountains above 4,000 m, including, of course, the Matterhorn in all its glory.